Natural dyes are prepared from plants and other materials, many of which you can collect yourself. The colours produced will depend on the materials used, water quality and mordents applied, so they are difficult to replicate accurately. Natural dyes can be used with wool, other animal fibres (including fur, feathers, cashmere and angora), and silk. At this workshop you will learn to prepare dye baths, be introduced to the use of mordents (which are chemicals used to fix the dyes and sometimes to change colours produced) and dye yarn samples. 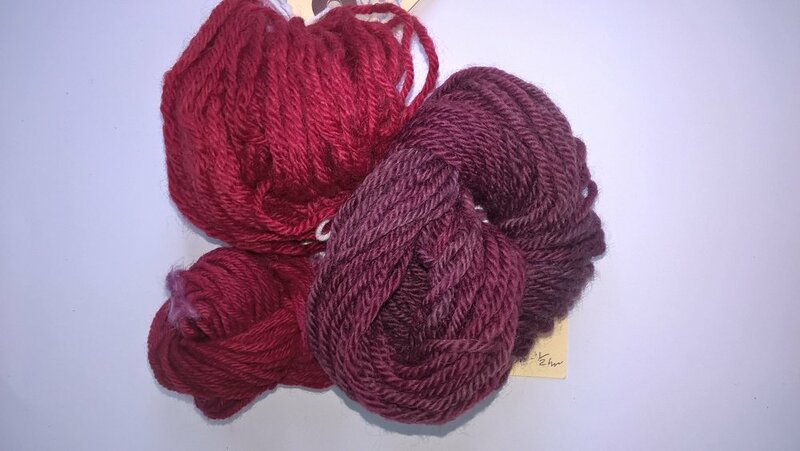 You will be dyeing 10g wool yarn samples which will be yours to take home at the end of the day, together with a Natural Dye Kit so that you can carry on with your dyeing experiments. Only 2 places on each workshop to ensure personal tuition and maximum hands on experience. The workshop runs between 10am and 4pm and will include a light lunch. All materials will be provided but you are advised to wear old cloths and bring rubber gloves.